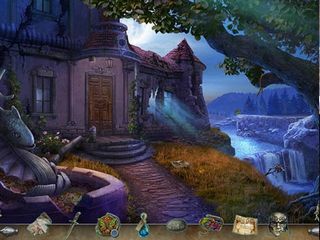 Immortal Love: Letter From The Past Collector's Edition is a wonderful hidden object puzzle adventure game for the fans of a good story with a lot of challenges to overcome. Travelling back in time is always a fun thing to do to fix reality. 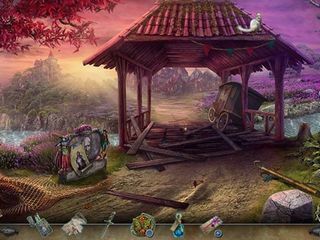 The game story is full of intrigues and dangers, but there is also a love aspect that plays a big role. Imagine what it would be like to wake up in a cell of a prison just to find out that you are about to be executed for a capital crime. Having no memories of who you are and how you got to this place, you are visited by a stranger in a mask. He tells you that he has an escape plan for you and it actually work. The crime you were sentenced to a capital punishment for is appearently kidnapping and hurting the future countess. Now you can turn the time back with a magic amulet to find out the truth behind this story and prove you are innocent. As you can tell you will have to acomplish a lot to get out of this pickle. In addition to everyhting that you have to accomplish, you are also responsible for your loved one that needs your help. The game offers four modes of difficulty: Casual, Advanced, Expert, and Custom. If you are having difficulty finding your way through the game even with the mode that you chose, you can use their quite detailed strategy guide and a map that becomes availbale to you as you begin to play the game. The game's graphics and music are beautiful and come together very well for your 18th century adventure. Some of the scenes and effects are just gorgeous and very detailed with great colors. The art, music, wallpaper are all downloadable as part of the CE. 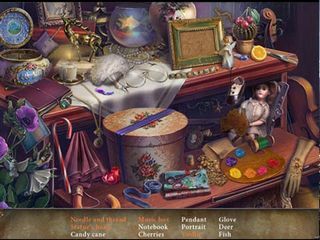 There is a good balance of hidden objects scenes and puzzles. The former seem to be quite challenging and very interactive, while the latter seem to be unexpectedly easy. There are a lot of collectibles and morphing objects to be on the look out for. And you can challenge your skills by accomplishing some of the achievements. The game is great and has a lot to discover and explore and be busy with as you try to get out of this life/death situation. This is Immortal Love: Letter From The Past review. Download this game here.